The model VAE101XP-B1 is a video signal anti-interference device using signal frequency shift technology, The device consists of a transmitter unit and receiver unit. 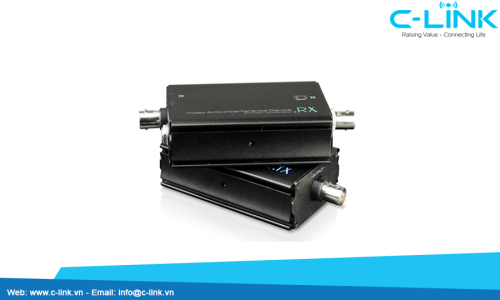 Transmitter unit shift the video signal to less interference frequency band and receiver demodulate signal to original video signal over single coaxial cable. Avoiding low frequency interference in the process of transmission, improving video signal anti-interference capacity, effectively eliminate the problem of image tearing, crosstalk and rolling and etc. The device is built-in lightning surge protection circuit, improve product stability. It is widely used in the video surveillance and control system.